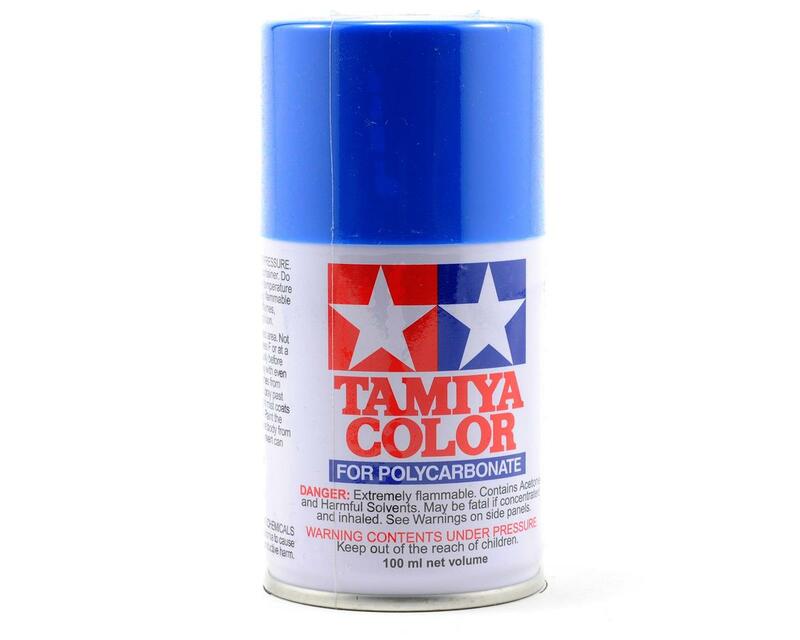 This is a 3oz can of brilliant blue polycarbonate spray paint from Tamiya. These spray paints were developed especially for decorating transparent polycarbonate (Lexan) bodies used in R/C car modeling. Each can contains 100ml of paint, which is the appropriate amount for finishing a model. Small detail work should be brush painted beforehand using Tamiya bottle paints for polycarbonate. Paint the body from the inside, keeping the can about 30cm from the surface. After curing, apply another coat. These paints are impervious to oil and fuels, so they can be safely used on gas-powered R/C bodies. Never use these paints on plastic models. New to painting and this went on great and looks perfect. Tamiya spray paint is awesome. Not only is the paint great the spray nozzle sprays a consistent fine mist that makes it easy to paint.